AT4081, Ribbon Microphone from Audio-Technica. 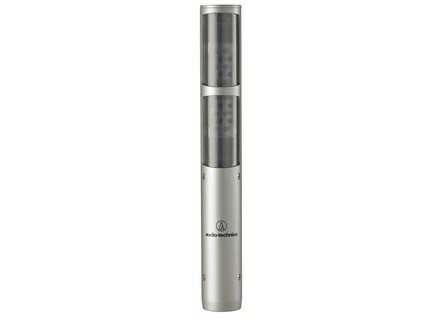 Audio-Technica introduced the company's first ribbon microphones, the AT4080 and AT4081. Visit www.audio-technica.com for more details. Sontronics STC-80 Quad British brand Sontronics has announced the STC-80 QUAD, a set of four dynamic mics aimed at bands and studios. Mamba Analog to Digital Bi-directional Converter NetworkSound announced the new line of audio converter products starting with Mamba ANADAT – 16 channel analog line level audio to industry standard ADAT and vice versa.